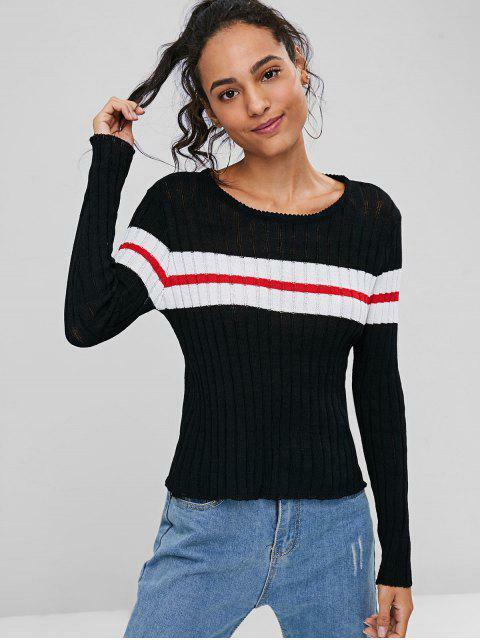 [41% OFF] 2019 Stripes Panel Pullover Sweater In BLACK | ZAFUL ..
Really nice sweater, the design and fit is really cute, but the fabric is a little bit lighter than I imagined, it's certainly not for winter. It arrived in less than a month. 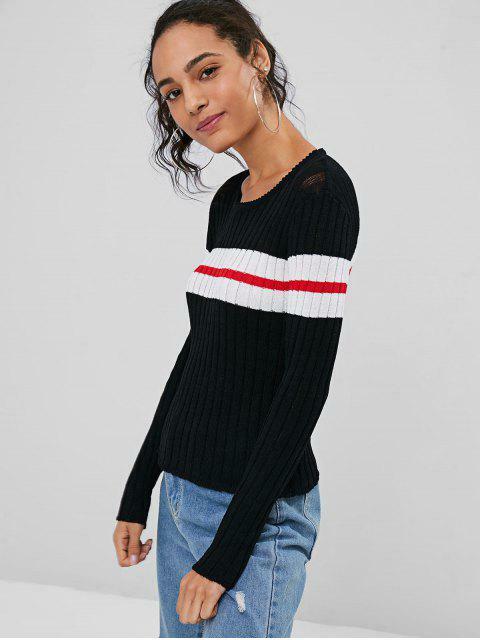 With a slim-fit silhouette, this pullover sweater is as cozy as it is fun in soft knit fabric with a contrasting panel of stripes pattern. 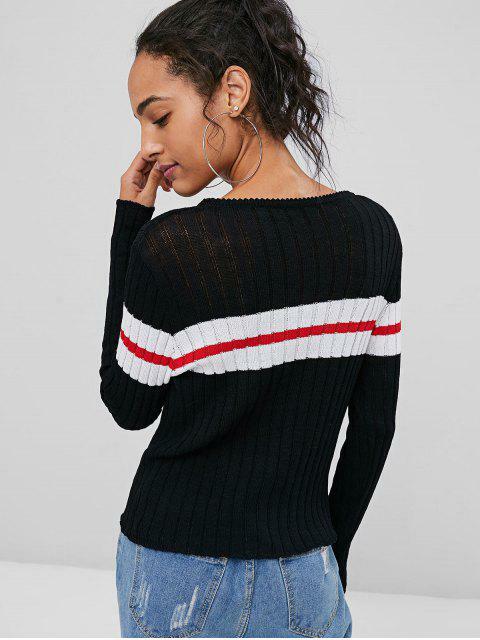 Layer it with skirts or jeans for an effortlessly chic fall style.